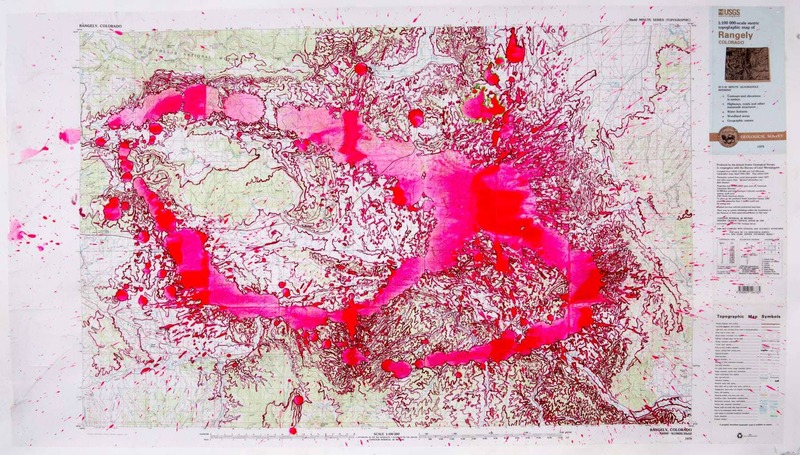 I manipulate maps using acrylic paint on map collages to explore geopolitical, socio-economic and environmental relationships between and within countries. 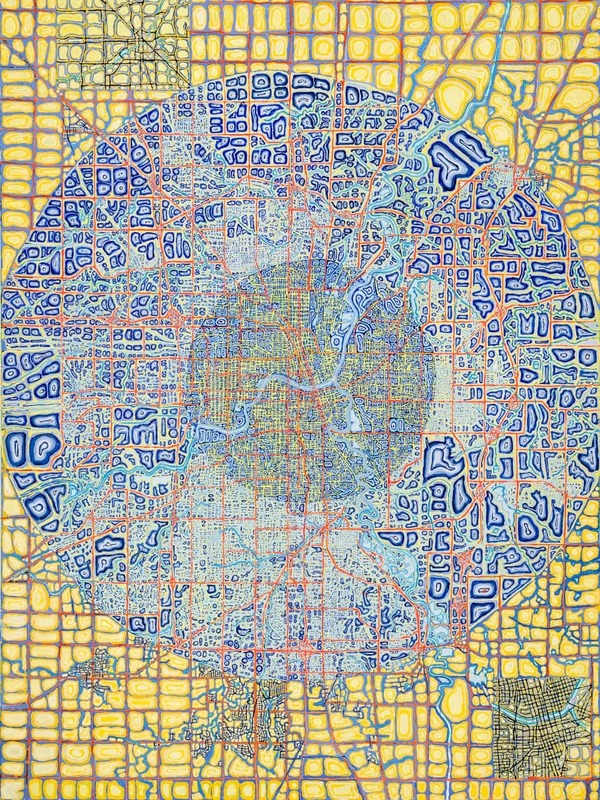 I reinterpret maps to create the unexpected connections that emphasize these relationships. 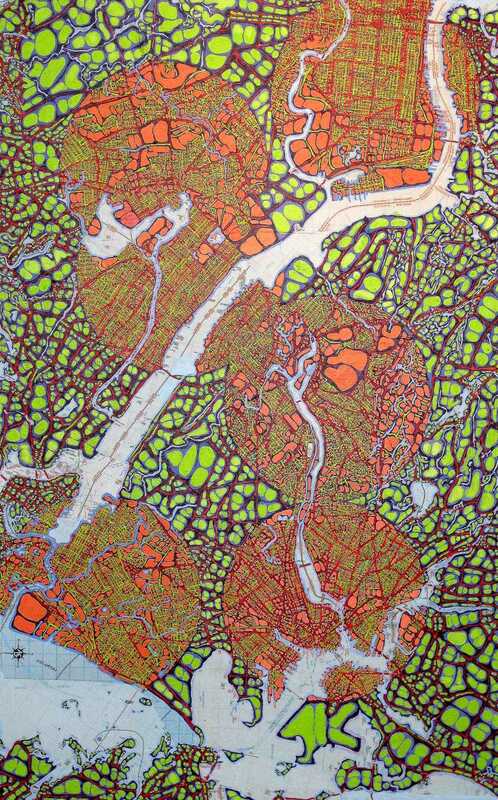 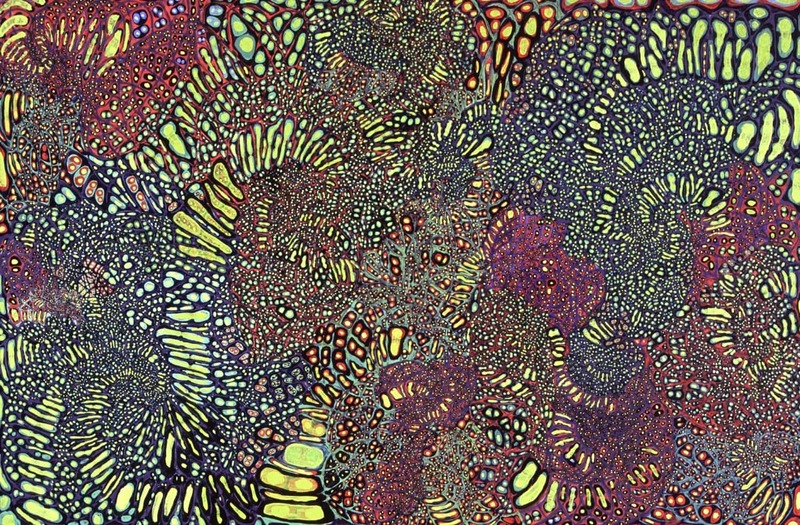 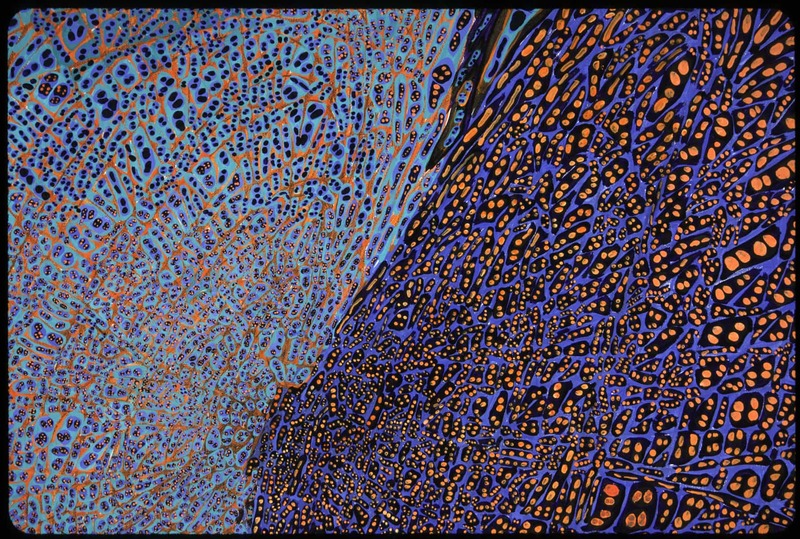 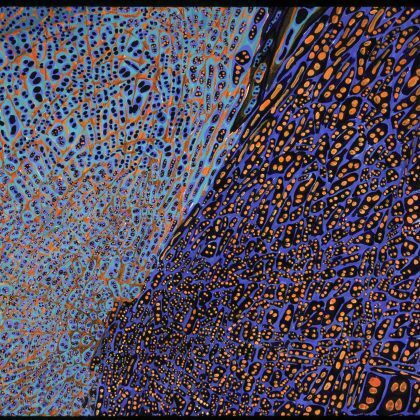 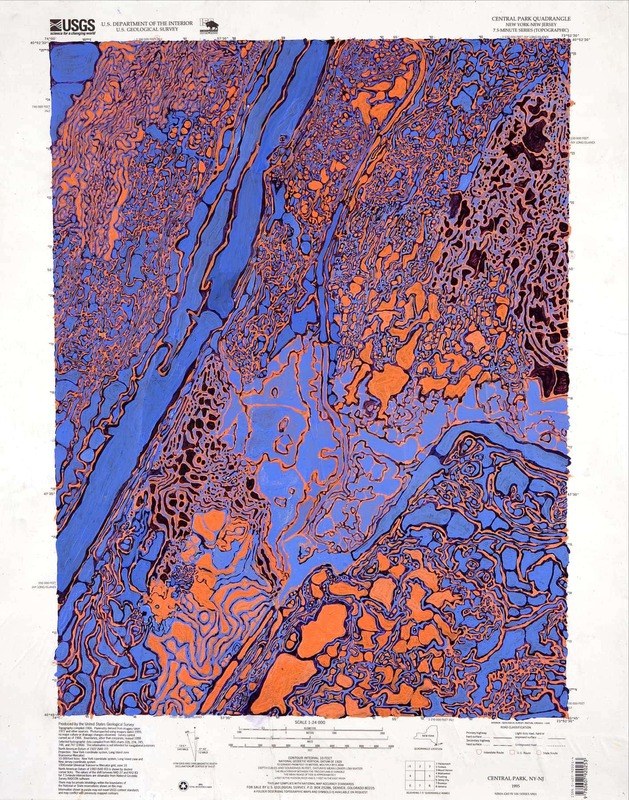 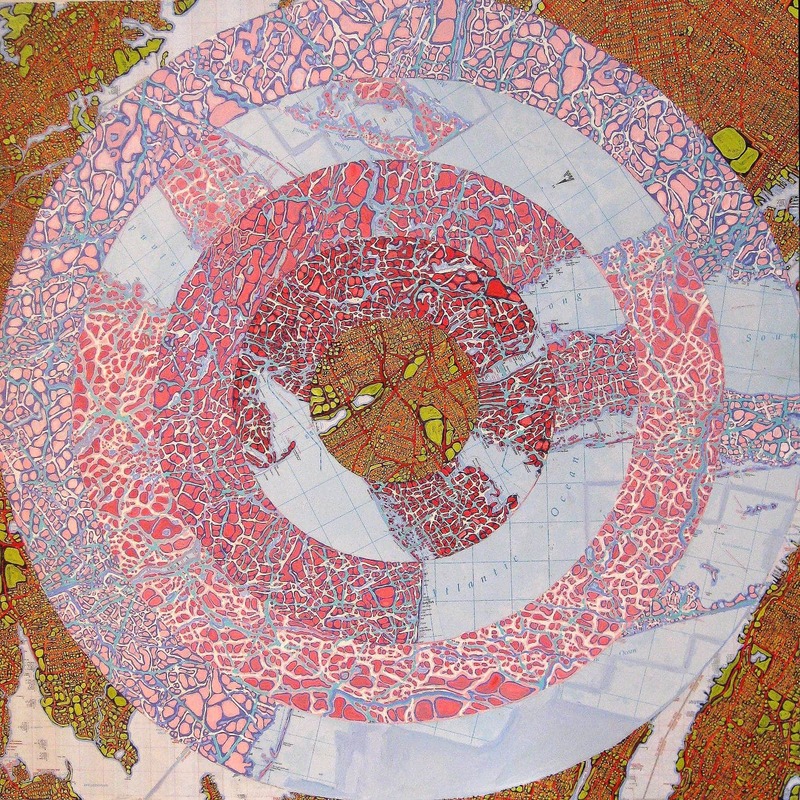 Cracked is an ongoing series of painted topographical maps with splashes of fluorescent, unnaturally colored paint. 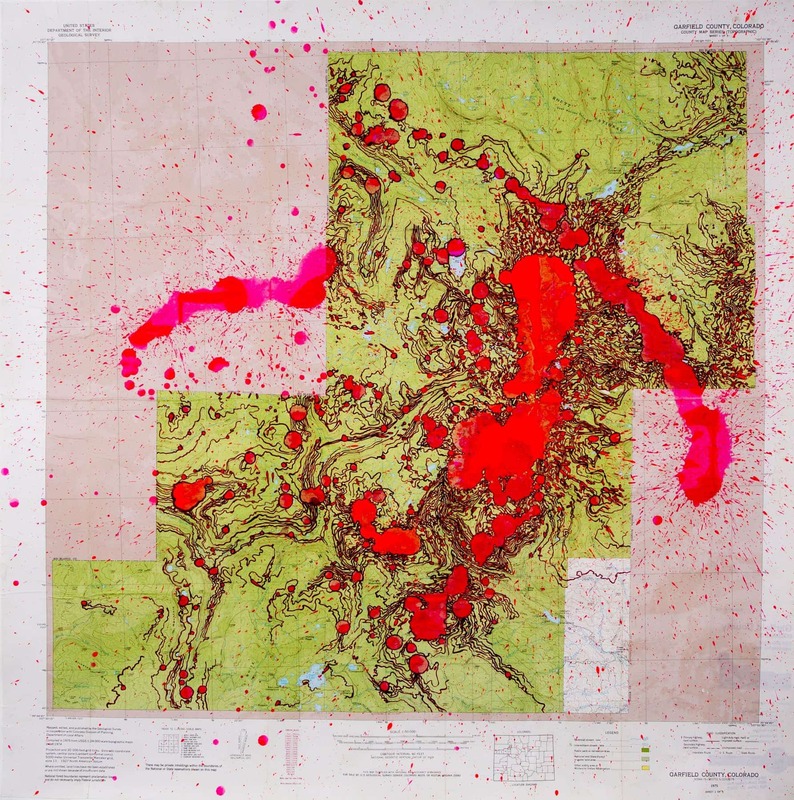 The work addresses the breaking apart of the environment especially in areas where wilderness is at risk. 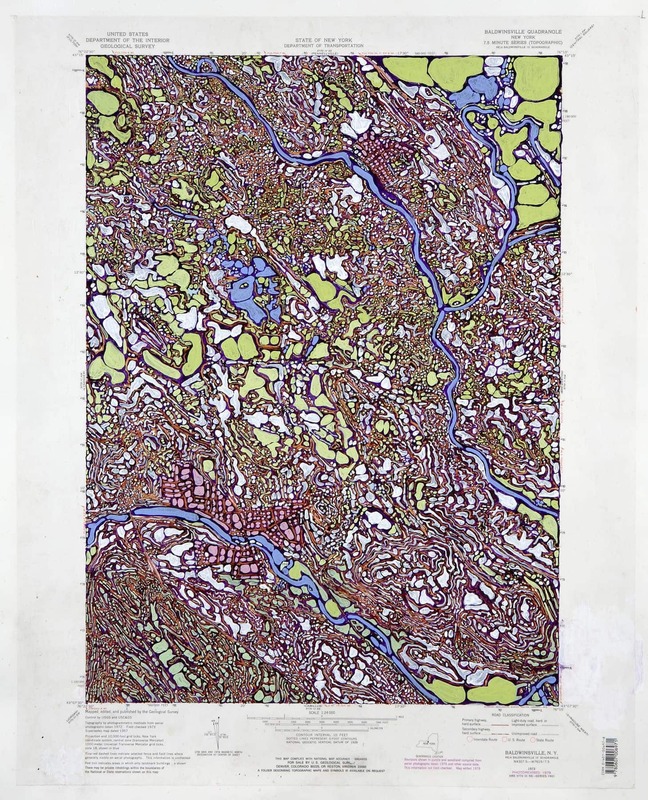 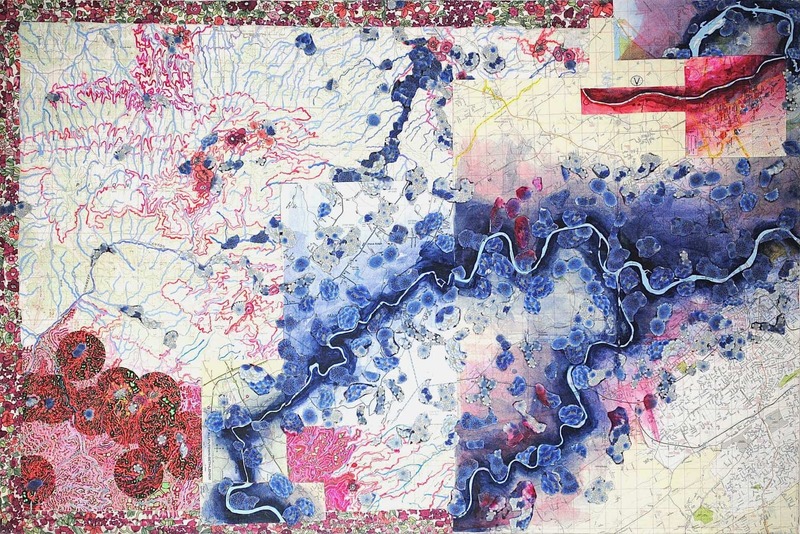 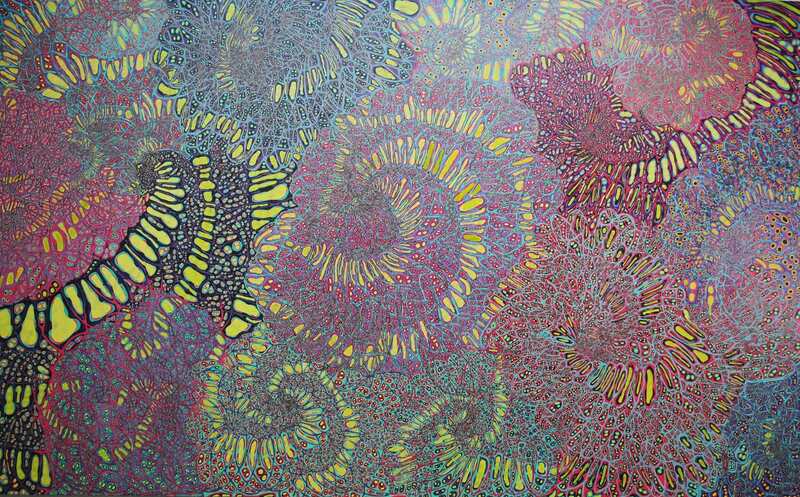 In the Flowers is an ongoing series of painted maps that include fabric printed with flowers. 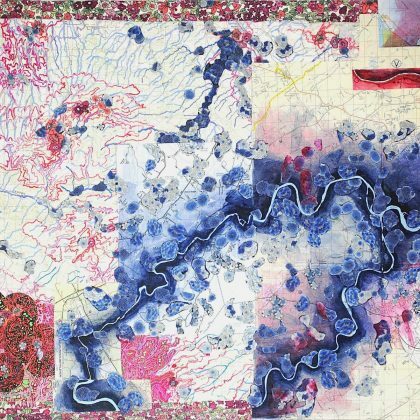 Flowers are used as a "Band-Aid" on the maps, covering the areas where wounds such as fracking, mega cities, mining, reservoirs and overdevelopment have been inflicted on the environment. 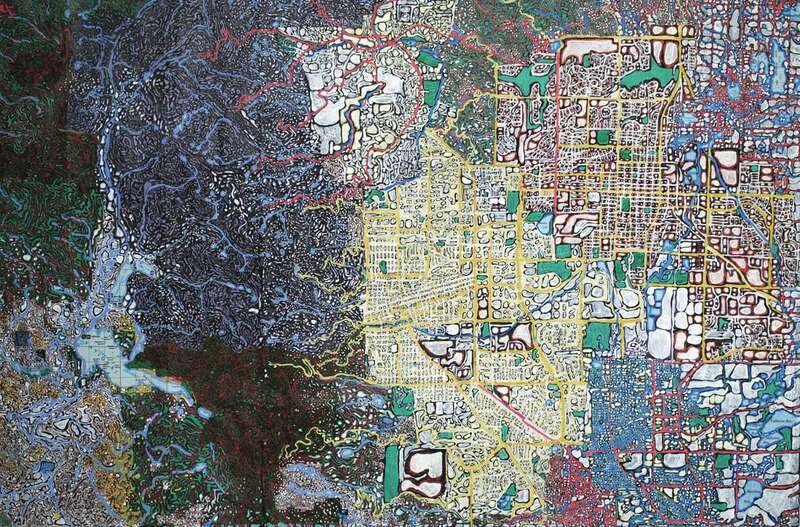 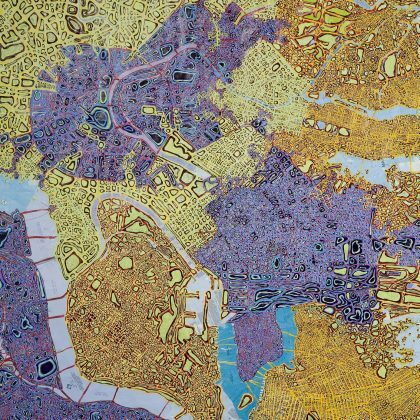 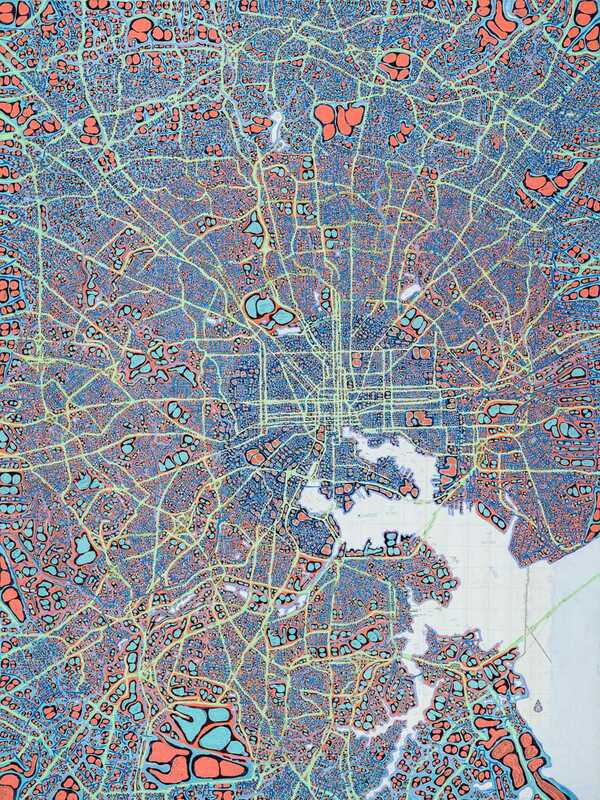 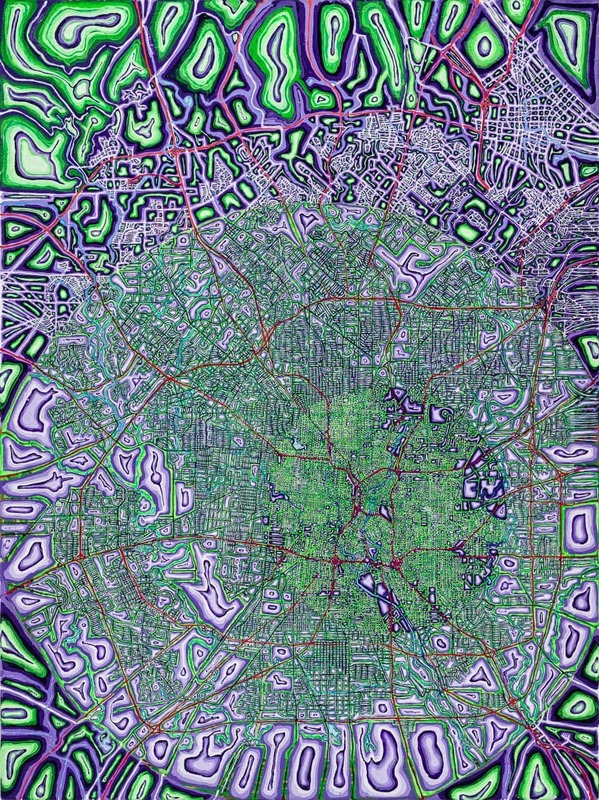 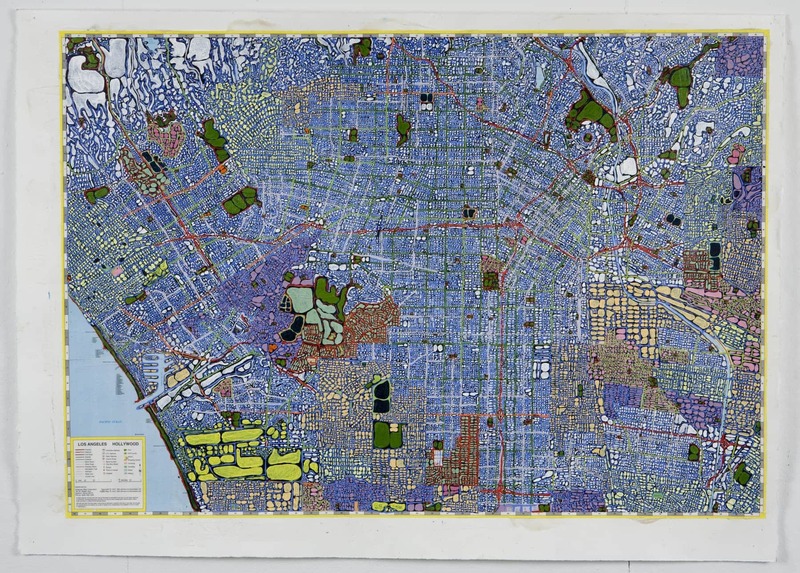 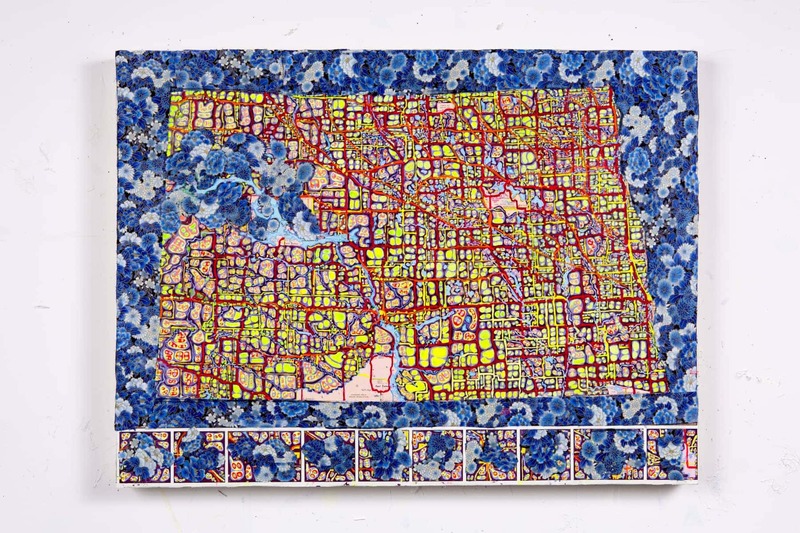 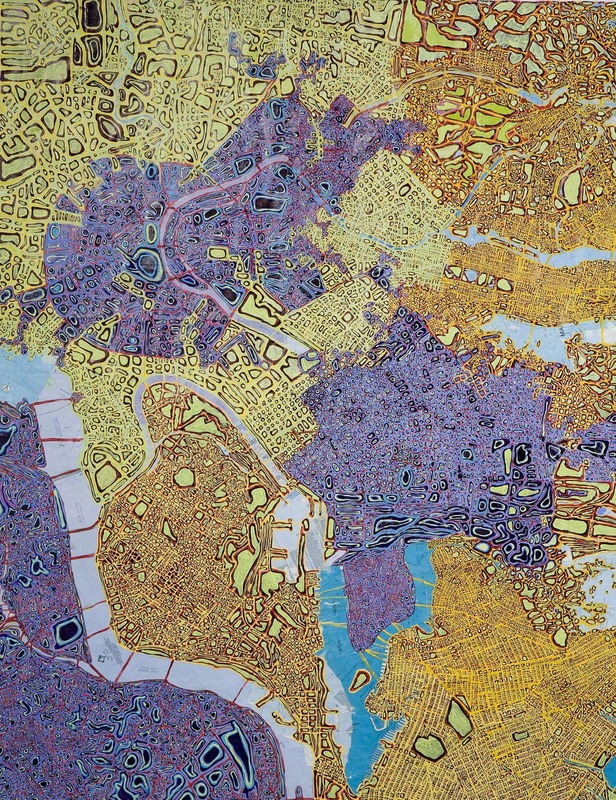 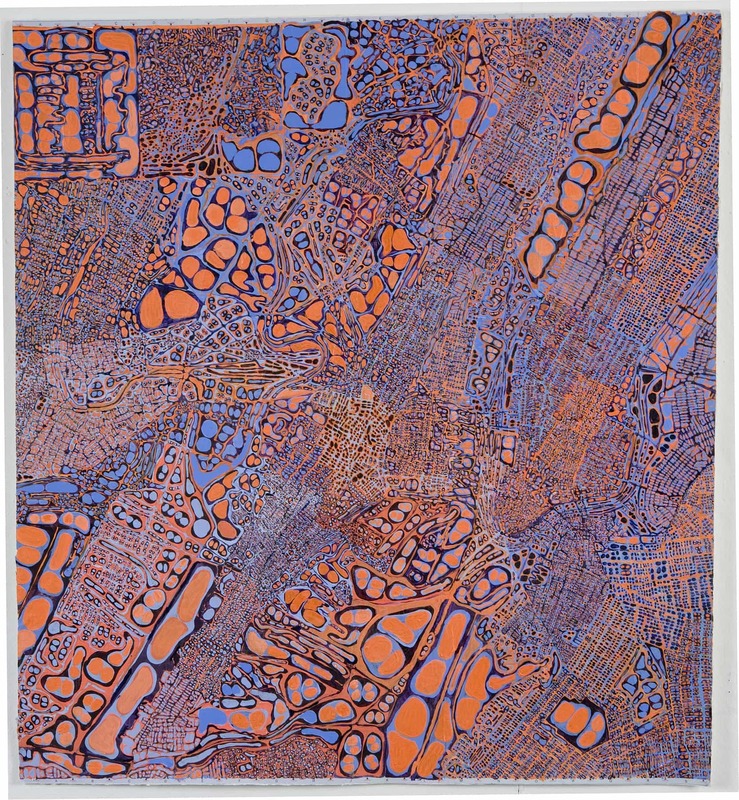 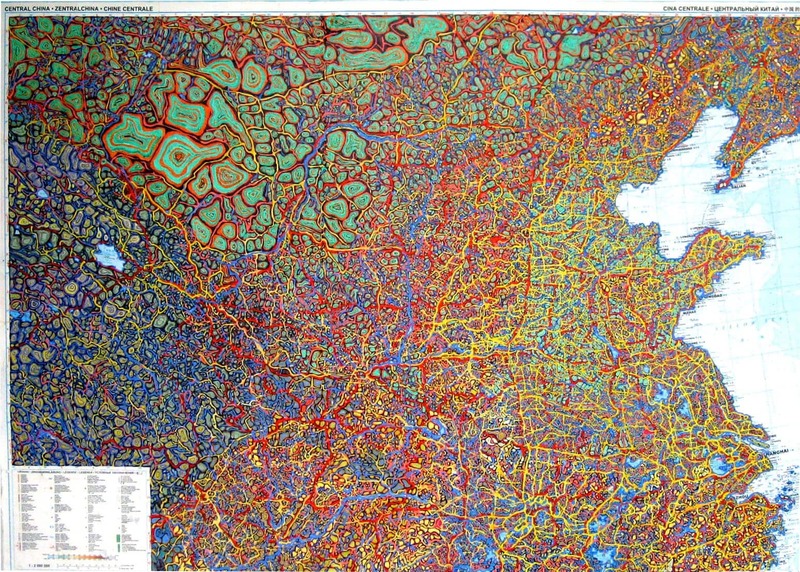 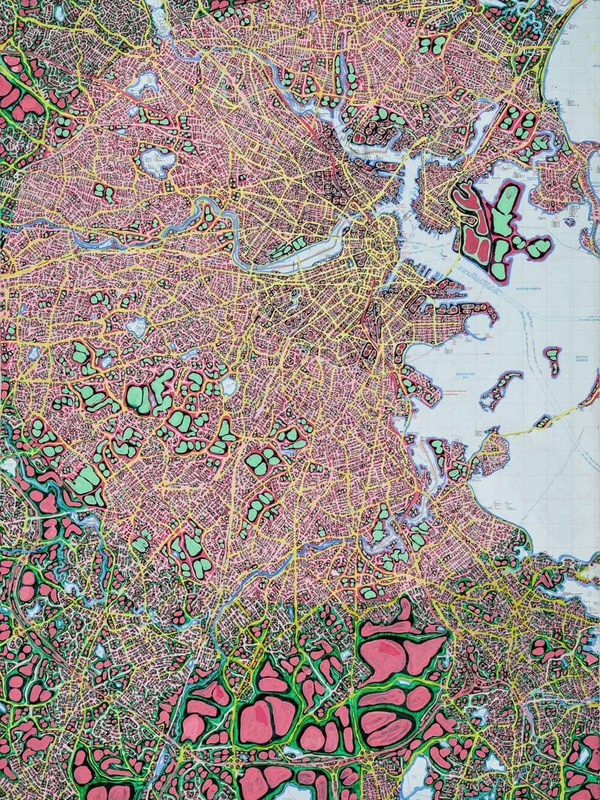 Cities is an ongoing series of painted maps of American cities. 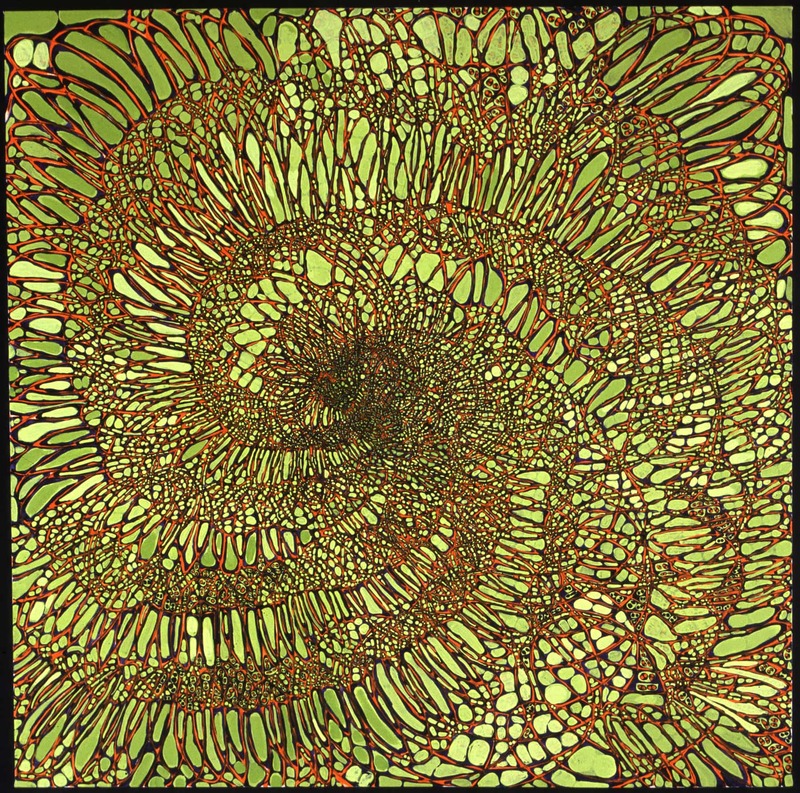 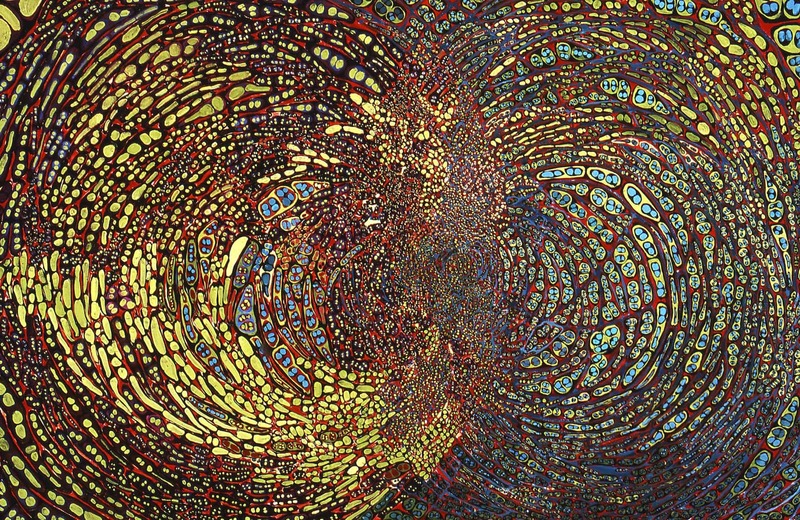 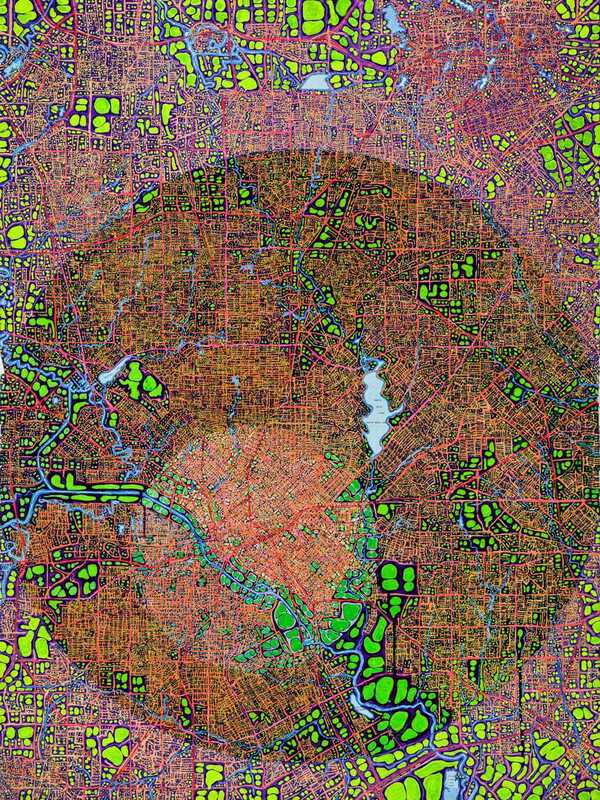 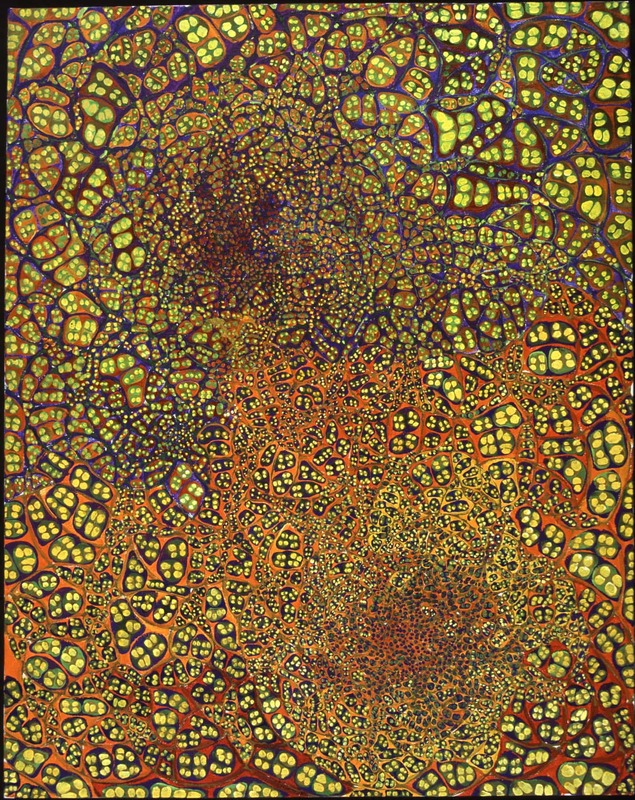 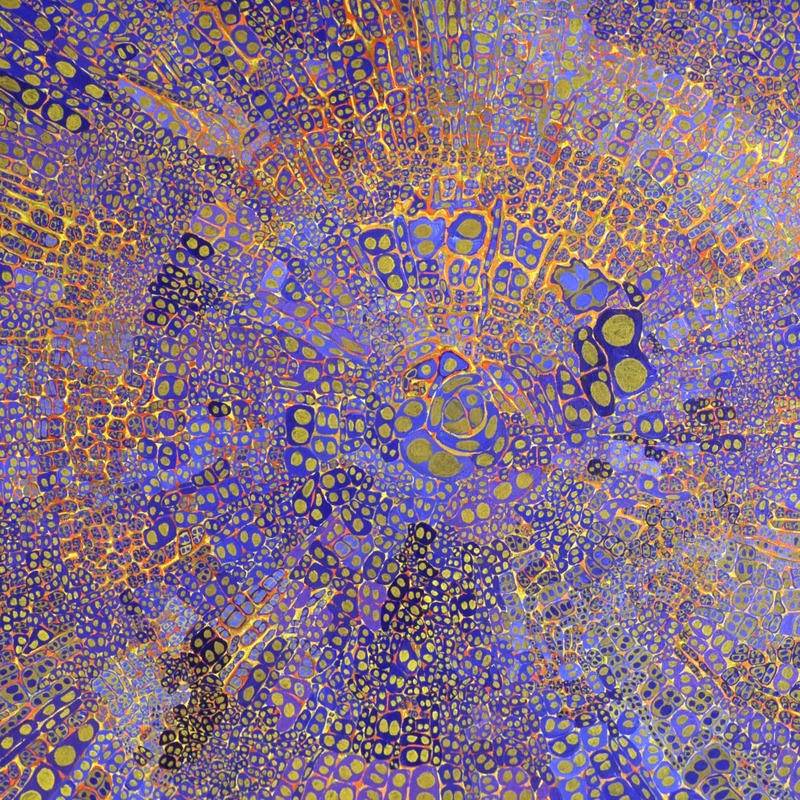 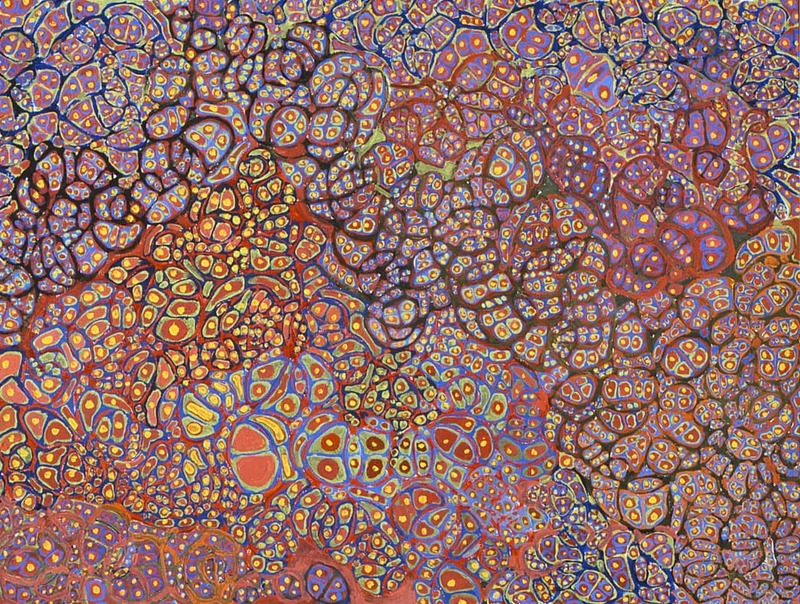 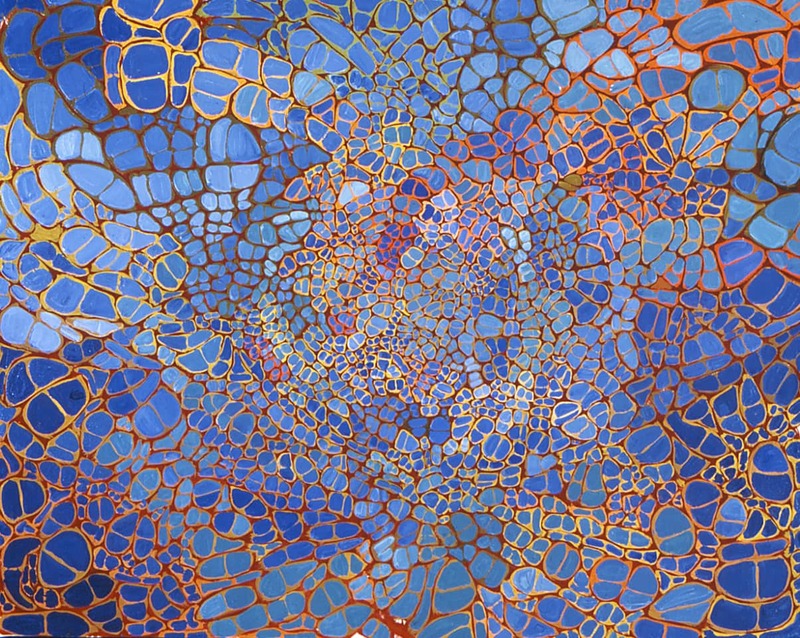 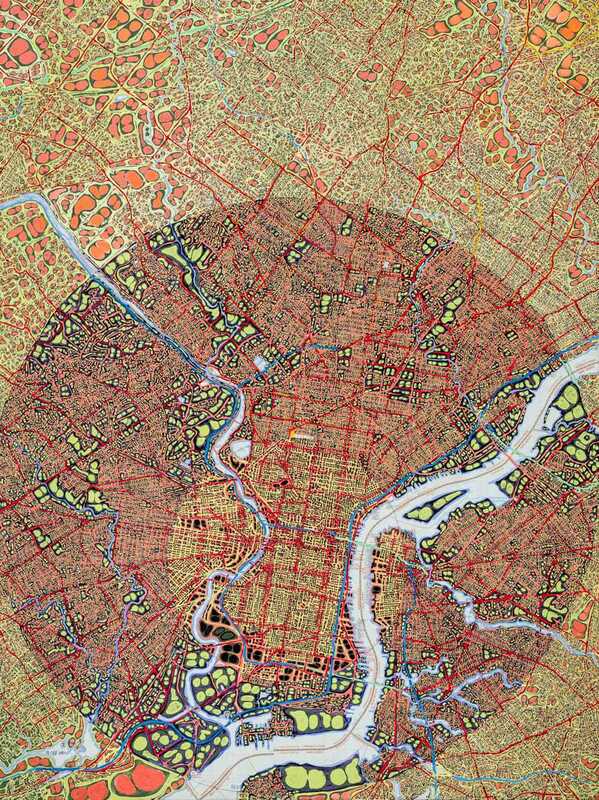 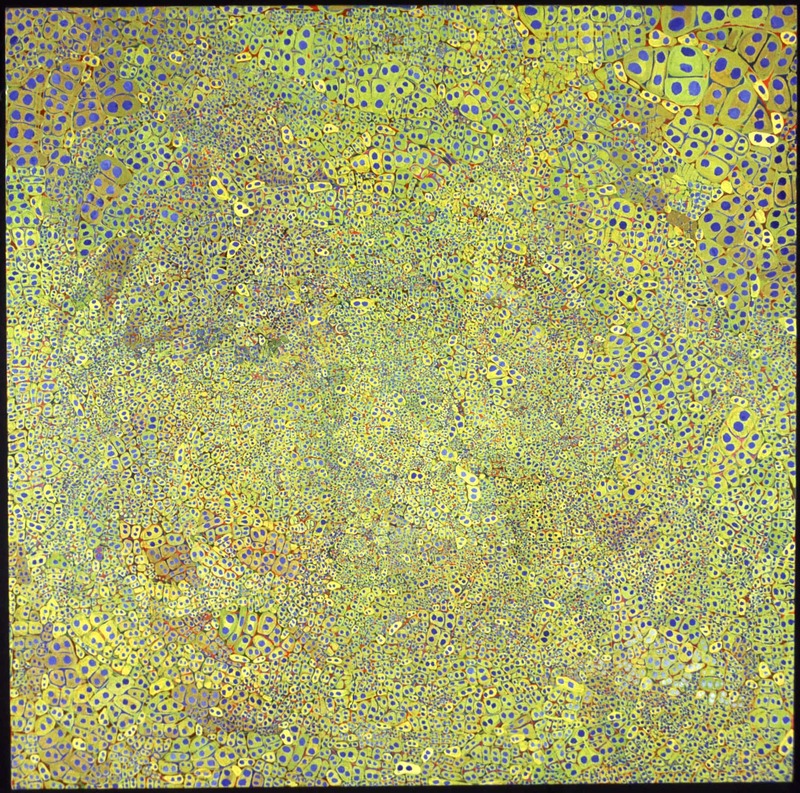 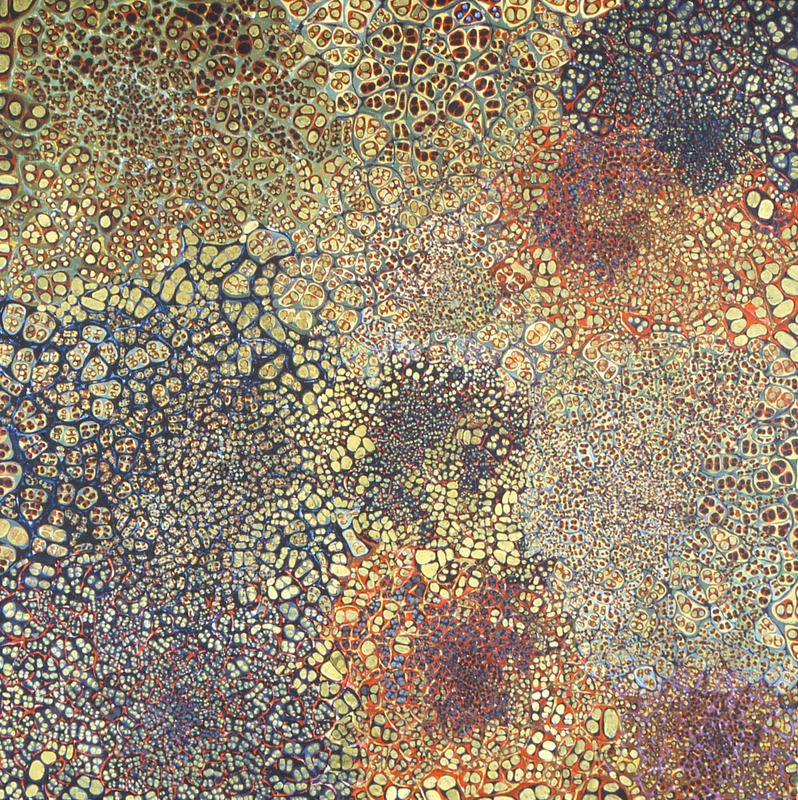 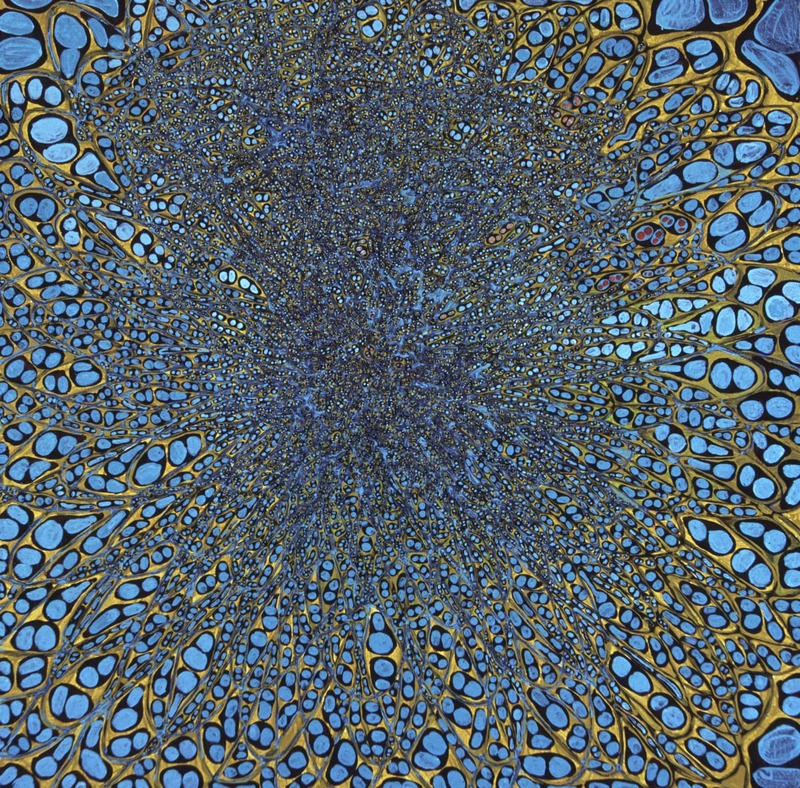 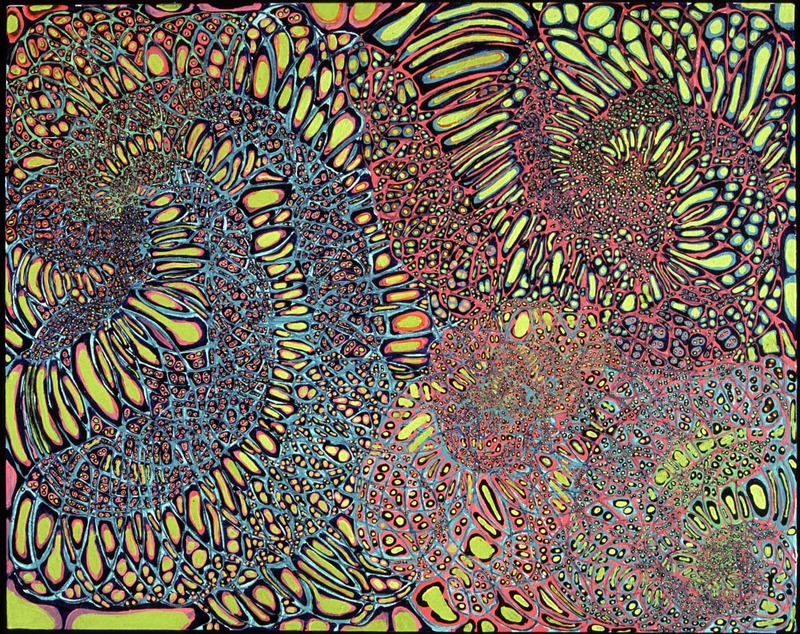 Loosely based on the idea of a 75-mile radius map, these paintings reveal patterns of density and development as the diameter of the circles widen. 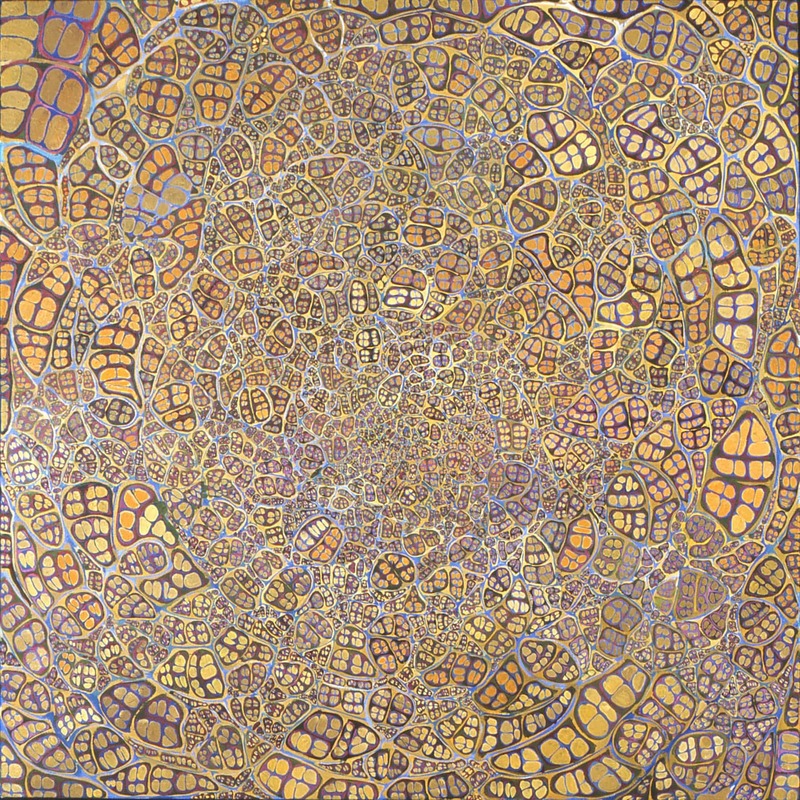 oil on Canvas / 24" x 30"
oil on canvas / 24" x 24"
oil on canvas / 48" x 48"
oil on canvas / 30" x 24"
oil on canvas / 36" x 36"
oil on canvas / 24" x 36"
oil on canvas / 48" x 72"
oil on canvas / 12 " x 16"
My Big Bang Series is an attempt to visually recreate a view of dynamic systems and the events they activate. 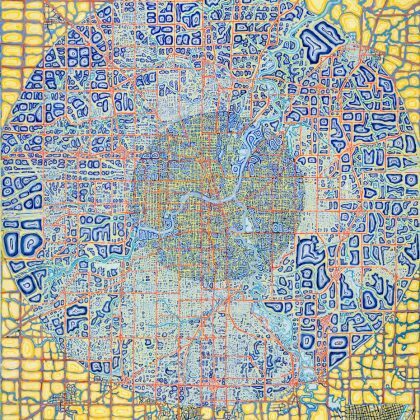 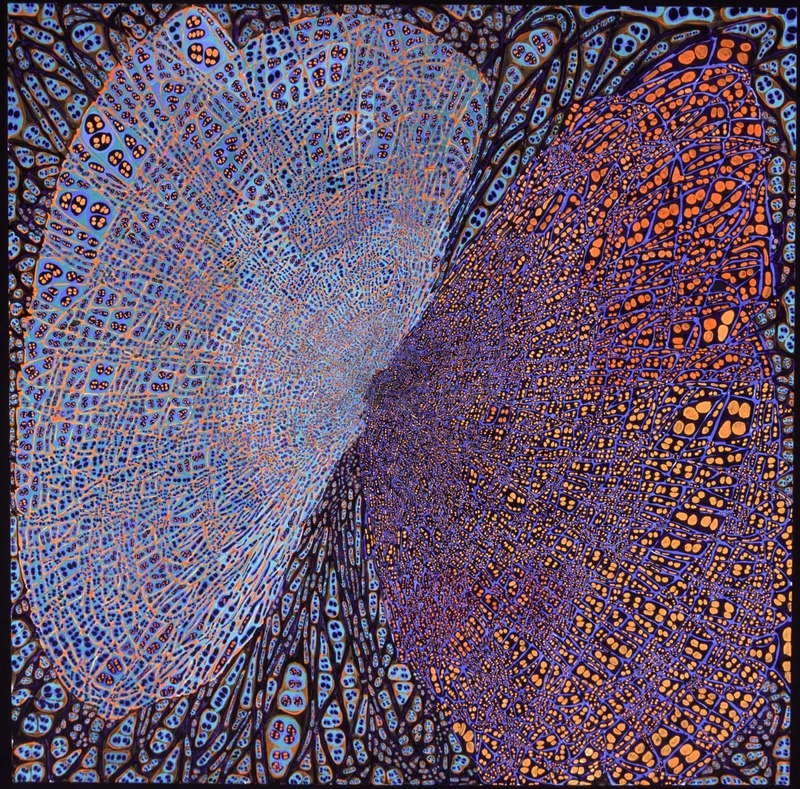 These oil and canvas paintings incorporate a visual pattern based on a dividing cell and a reliance on a linear structure that continues in my paintings with maps.